How have you all been? I've been okay. I hope you all had a fantastic week and weekend. What's Shinespark Polish you ask? It's an indie polish brand created by a really nice woman who goes by the name of Molly. All of her polishes are hand made and are 5-free. 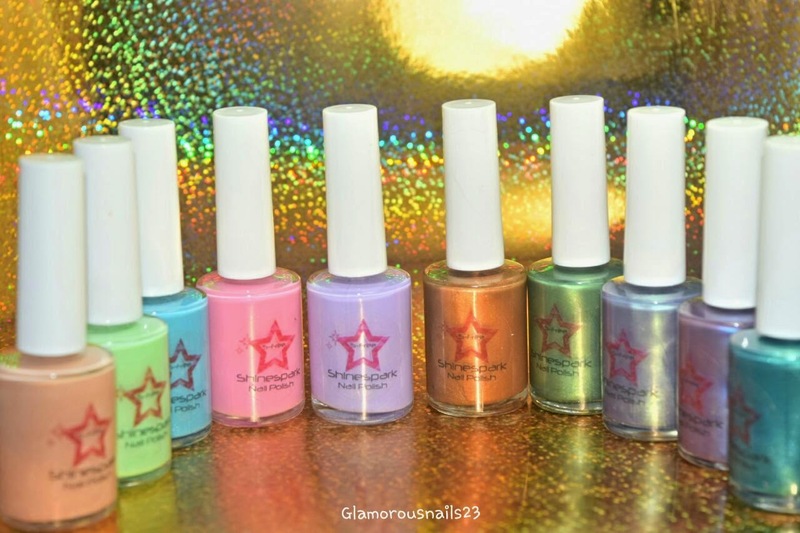 This is Shinespark Polish's The Light, The Heat Collection. In this collection there are ten polishes in total. Five of them are photochromes (this means that they change with direct sun light) and the other five are thermals. These look interesting. Looking forward to seeing swatches. They really are some interesting polishes. The swatches will be up soon!